I have been waiting until I finished to share this project with you and today is the day!! 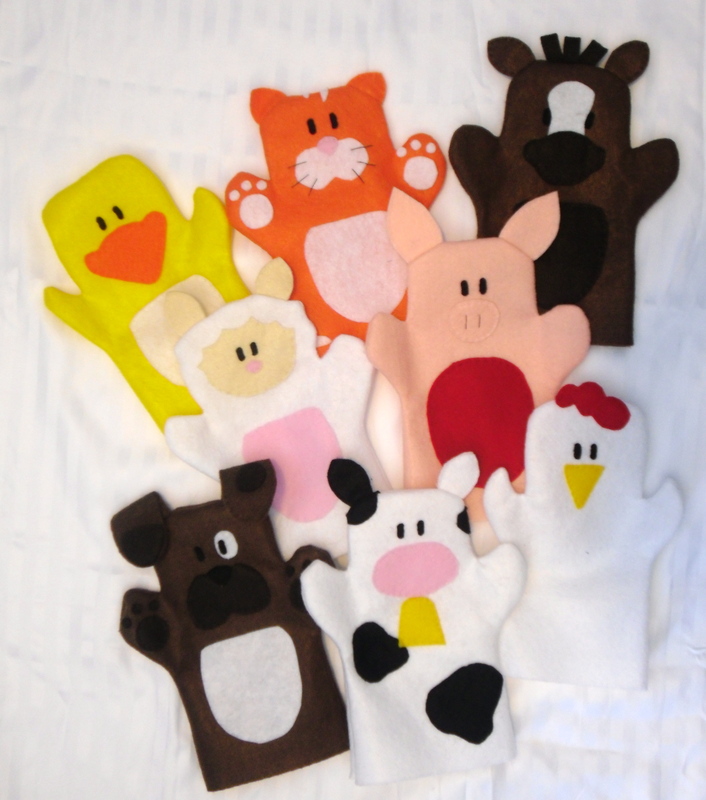 Since January I have been working on some animal puppets to use in my story times! They didn’t take so long because they were especially difficult, it was more that I had other things going on, but they are finally finished! I am excited to work them into my story times and because they are felt, they will stick to my flannel board. First, please excuse the awful pictures. I really need to work on my lighting skills. Second, the patterns came from Just Another Day in Paradise. Head on over there for patterns, instructions, and well-lit pictures. There was one big part of the original pattern that I changed. 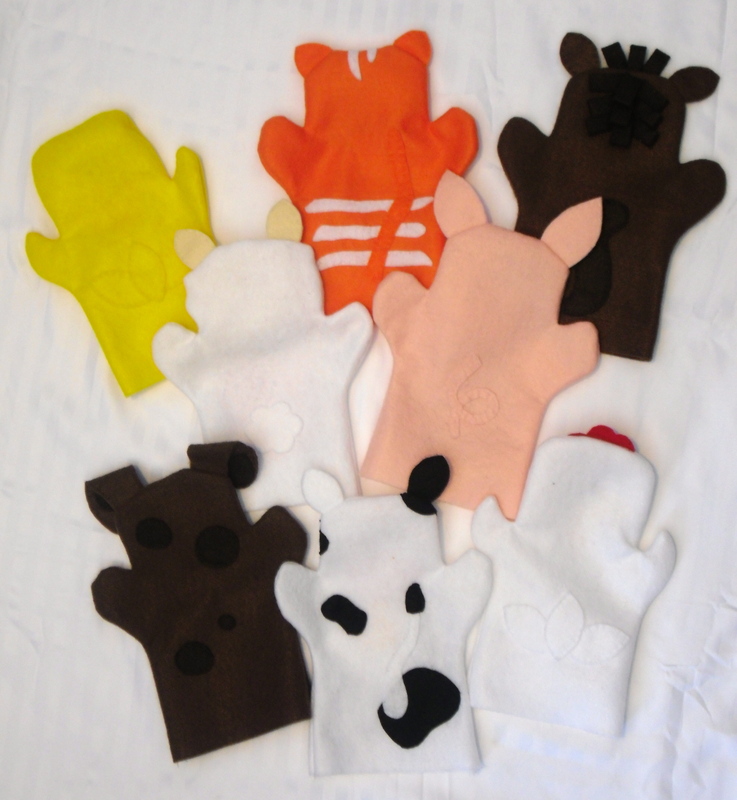 The sizing of the puppets are meant for children’s hands, but I wanted this set to use for storytelling and rhymes. I didn’t want to mess with the sizing because by the time I recognized the sizing issue their features were all cut and ready to go. So…just made the arms and bottom wider to accomodate my adult hand. This solution worked fine, but if you are going to make these for adults, my recommendation would be to enlarge all the pattern pieces from the beginning. Other than the size change, I did alter a couple of small things from the original pattern, but for the most part the design is the same. So, while I’ve been working on these…Have you created anything fantastic?